This woodworking tip of the week is all about trying something new. Most woodworkers have a central project that takes up the majority of their time. Whether it be instrument making, cabinet making, or some other discipline, most of the time it’s the same thing. Trying something new can make a difference, and even boost your ability level in your main woodworking discipline. After making the same thing for a while, you tend to get really good at it. While this is great for the main project, it limits your abilities in other areas. A toy maker may be great at working with smaller and more intricate builds. However, when it comes to carving, they may be terrible. One of the best parts of woodworking is that there are so many disciplines. A person could live a hundred lifetimes and not master them all. The way you learn about what you like and what you don’t is by trying something new. would have been a better place for me to start. After struggling through the violin, I found that it made me a better guitar maker. While I used to slowly and carefully carve my bridges, after carving a violin scroll, I could make a bridge blindfolded. The difference in skill level required for the two was not even close. I immediately felt completely at ease making a guitar bridge, when I did not feel that way before carving the violin scroll. 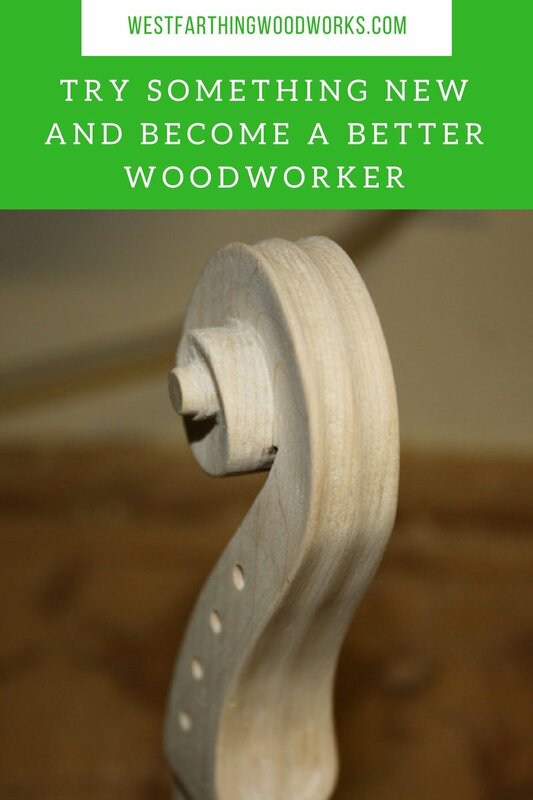 Trying something new broadens your woodworking ability, and makes your main projects even better. New projects force you to think, and get you out of your comfort zone. Having a side project also keeps you thinking about woodworking. Many times, we get comfortable making the same thing over and over again. We forget that there is always something to learn. Making something different shocks the system, and forces your brain to figure things out again. Every side project you take on will have a direct effect on your main discipline. Even if it seems odd at first, woodworking is about combining tricks from several disciplines and being creative. 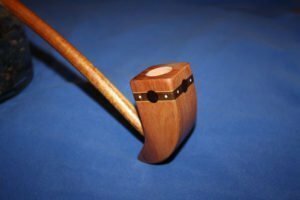 When I started making long stem tobacco pipes (after seeing Lord of the Rings and wondering how the pipes were made) I learned about contrast staining. I have since applied this to other areas of my woodworking and love the technique. Without ever having tried pipe making, I would most likely have never learned about contrast staining. It is from struggle that progress is made. If you are comfortable in what you do, you will not improve as rapidly as when you get out of your comfort zone. Also, you will learn new techniques that can be applied to your main discipline, which will enhance your ability to produce great work. If you have any questions about trying something new, please leave a comment and I will be glad to answer your questions. Happy building.